If you’ve flipped through an interiors magazine, scrolled through Pinterest, or even wandered into a hip shopping space you have been met with the biggest greenery trend—the fiddle leaf fig. 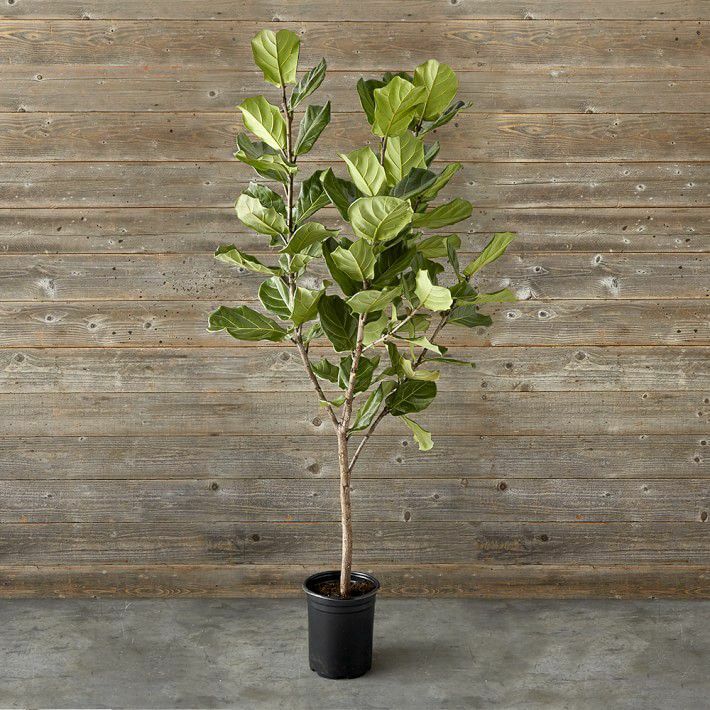 Lush and large-leafed, this tree has been designated by the higher powers of décor as the final touch to polish off any space and breathe some life to your home, and we’re here for it. 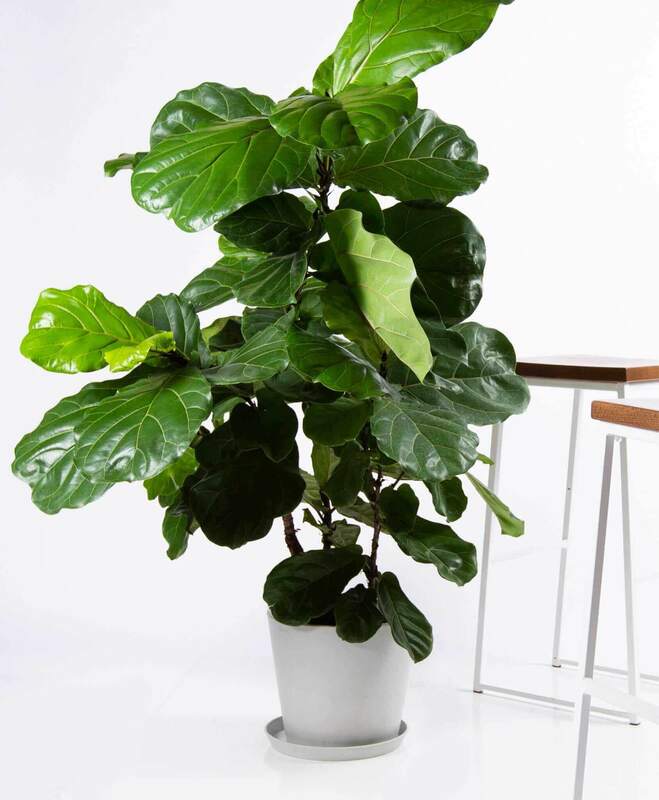 Whether you already have a fiddle leaf fig you’re nursing or you’ve been considering making space for one in your home, it’s important you know that this houseplant can be easy to care for but you must first understand the basic needs of the Ficus Lyrata. 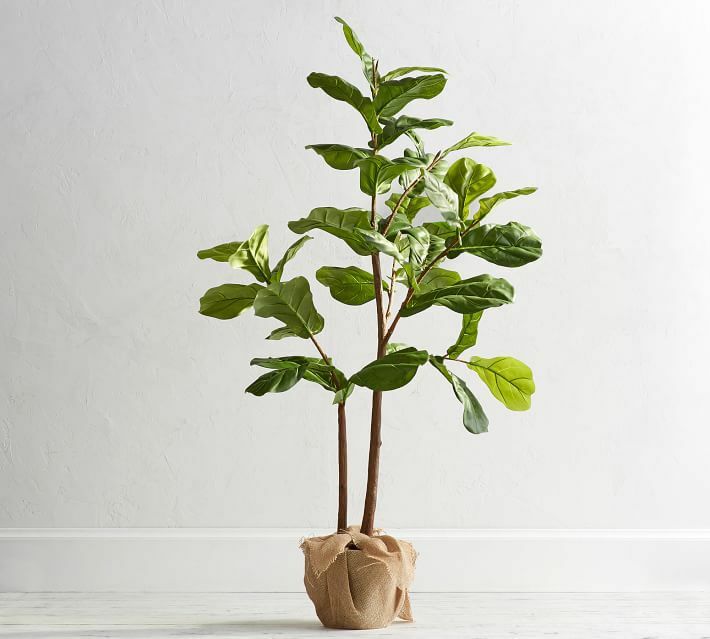 Read on to learn the five most common mistakes leading to your fiddle leaf fig perishing, and an experts guide to keep it thriving. I will be the first to admit, I was not blessed by a green thumb—that’s why I turned to the creator of Plant Ground Bloom, Audrey Garcia to start with the basics on how to reverse common mistakes made and keep your plant happy for years to come. First thing’s first, Garcia wants you to take a good look at your life: “Plants are an investment!" She wants you to know the time that you are able to devote to your plant babies before getting involved. Once you’ve dedicated some calendar space to one on one time to your plant you can jump into the following. 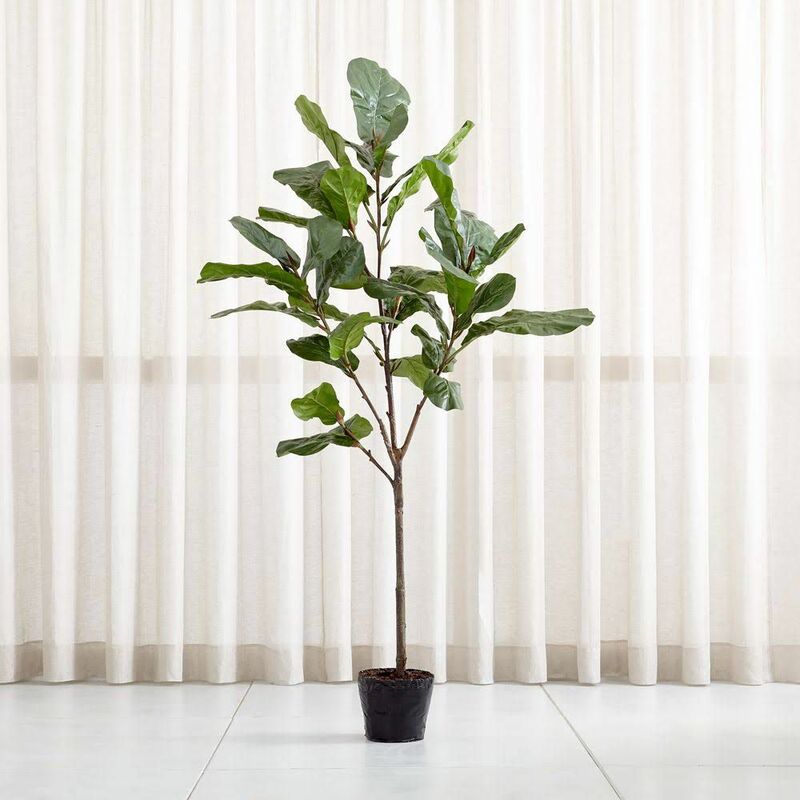 If your fiddle leaf fig dropping its leaves at a rapid rate it could be due to improper positioning in your home. Finding the right climate is important when welcoming a particular plant such as this. How to Fix It: “If you have a South-facing window out of the way of the AC, you’ve got a winning location.” says Garcia. 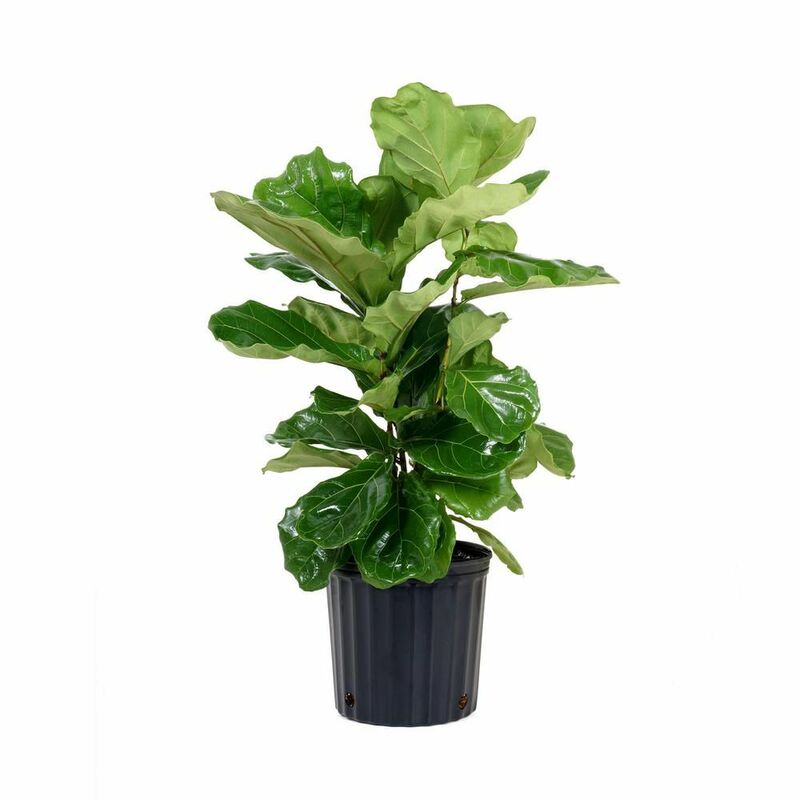 She goes on to specify fiddle leaf figs do not like cool drafty spaces or direct sunlight, reminding us these plants come from warm, humid climates, so it’s important to mimic this. If you have a humidifier in the home, Garcia tells us it makes a great neighbor to your plant. If not, spray bottles work great. However, you never want to spray when the sun is not beating down. Plants are living creatures, and when you adopt one from the nursery it needs time to acclimate to your home. If you have recently re-potted your plant, it could also be suffering from the shock of having its roots jostled, or acclimating to new soil. How to Fix It: Garcia shares her expert secret for making them feel at home, “I use a serum called SuperThrive to help reduce this stage.” It provides an influx of vitamins and great for when you are transplanting. Watering is the number one reason that many have issues with the fiddle leaf fig. How to Fix It: Early morning or evening is best. “I use the good ole’ finger check, 2” deep into the soil to see when we are ready for the next drink.” Make sure the soil is completely dry before adding water in an even amount around the whole circumference of the container. Garcia highly recommends using Plant Nannies. “They act as an inexpensive water reservoir while recycling an old wine bottle.” She directs that you pop it into the soil near the root ball and refresh when you see the water low “in larger containers, I use 2”. These are a great way to reduce water waste and evaporation, as the water goes straight to the root system. Root rot is one of the leading causes of unhappy fiddle leaf figs. A fungal infection caused by allowing your pot to sit in water or over-watering, this can quickly spread to the leaves of your plant. Some identifiable symptoms for this infection can be light brown crusting on the outer edges of the leaves. How to Fix It: “Your roots drowning in water can’t get the proper oxygen to take in nutrients.” Garcia suggests you immediately remove your plant from its container, remove soil carefully and take off any soggy roots from the root ball. New soil can help give fresh life into your plant. If you don’t check in on your plant enough, things like bug infestations, or the soil drying out can happen without being detected, and soon it could be too late to save. How to Fix It: “Clean the leaves regularly.” Garcia advises us to use a microfiber towel to wipe down leaves and stems. “Imagine that this is the way that these plants intake sun to photosynthesize or make food.” Keeping these leaves clean will keep your plant happy and healthy. 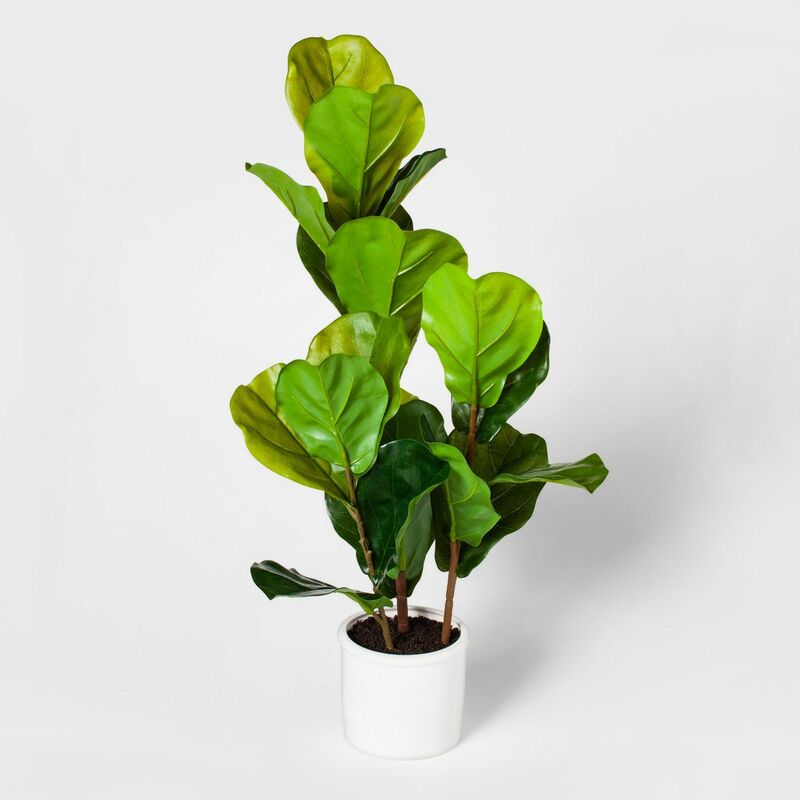 Garcia believes that by creating a frequent cleaning ritual you will create a deeper connection with your fiddle leaf fig and notice new developments. 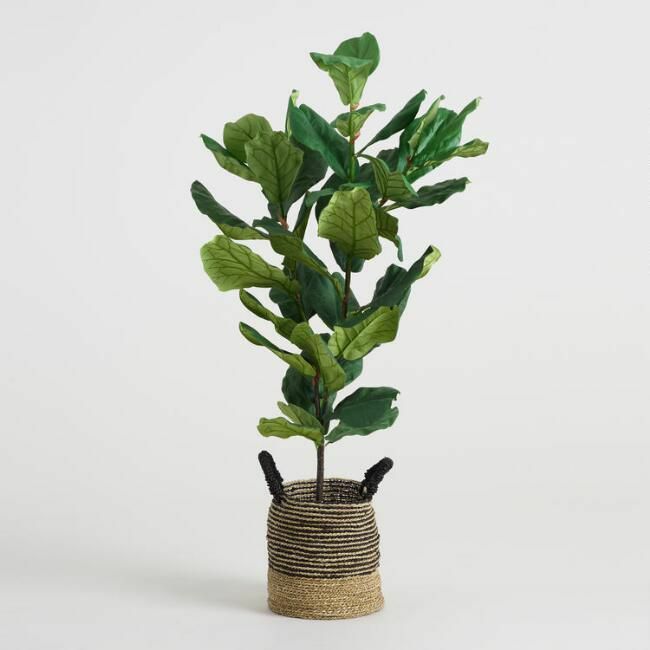 Read on to find our top picks of real and faux fiddle leaf fig options for your own home—for all price points and lifestyles. FYI: These Are the 5 Best Hanging Plants for Self-Professed "Black Thumbs"